Whether you’re looking to reside in a development or merely see what area surroundings are like with regard to property values, pay attention to Thunder Ridge Estates. This exclusive community offers an attractive location along the Blue Ridge Parkway and gracious home sites. The property is well-maintained and affords many residential advantages. Discerning buyers in pursuit of privacy and convenience find real estate of Thunder Ridge Estates highly desirable. Any available properties will be featured on our site. The Mountain Group at Premier Sotheby’s International Realty showcases a comprehensive list of area real estate and serves to be a one-stop shop for those considering the High Country as their imminent home. Whatever your case may be, we’re here to meet your realty needs. Do you have your sights set on Blowing Rock? Are you interested in learning more about what this region has to offer with regard to recreation or employment? A competent agent will cover these bases and then some, providing you with the total package. This is what our team is trained to do. We will present to you Blowing Rock as home, in order for you to best decide whether you fit into the picture here. Maybe that picture portrays living in a development or subdivision. There are plenty of subdivisions to choose from, which means it mostly comes down to your wants. 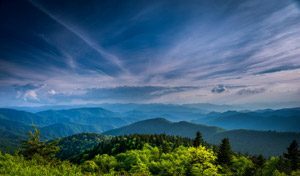 Thunder Ridge Estates boasts tracts with long-range views, inviting settings, and easy access to downtown Blowing Rock. Residences come complete with a privileged lifestyle, but one that isn’t for everyone. It’s up to you to choose which side of the development you want to be on. Either way, it’s never bad to have them be a part of the community. If you aren’t yet sure, we will be happy to show you all area listings, and you can assess based on other criteria. Thunder Ridge Estates is an enviable option, but it’s certainly not the only option.